I am quite surprised it didn’t become a ‘thing’ sooner…I was still buying colouring books well into my teenage years. Back then they didn’t really have adult colouring books, so I just bought those generic $2 colouring books. 1. The Enchanted Forest (I got mine from Dymocks, but it doesn’t seem to be listed on their site any more)- One of the newer releases from Johanna Basford, The Enchanted Forest is beautiful, but intricate! If you have the patience and time to colour in the little details, each page becomes a work of art! I love that there is a ‘puzzle’ element in it to, you have a list of 9 symbols that are hidden throughout the book to ‘unlock’ the castle gates at the end. 2. Citysketch New York, $19.99 from Dymocks – A little more ambitious than just colouring, Citysketch New York is great if you love drawing and the challenge of sketching what you see before you. Hopefully this will explain it better… “Finish partially created Manhattan skylines, sketch accessories to accompany a ‘chic’ 5th Ave wardrobe, doodle your own uniquely styled versions of Times Square, and loads more.” I love to draw and I plan on taking this book with me to New York (hopefully next year sometime). I may not get the time to fill it in, but it will be there, just in case inspiration strikes. 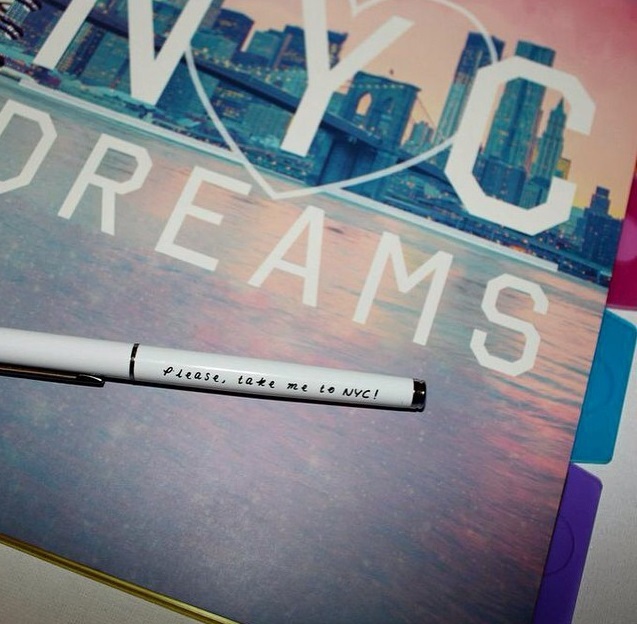 Flicking though the pages, it mentions many iconic NYC locations…it may even inspire you to visit them. 3. 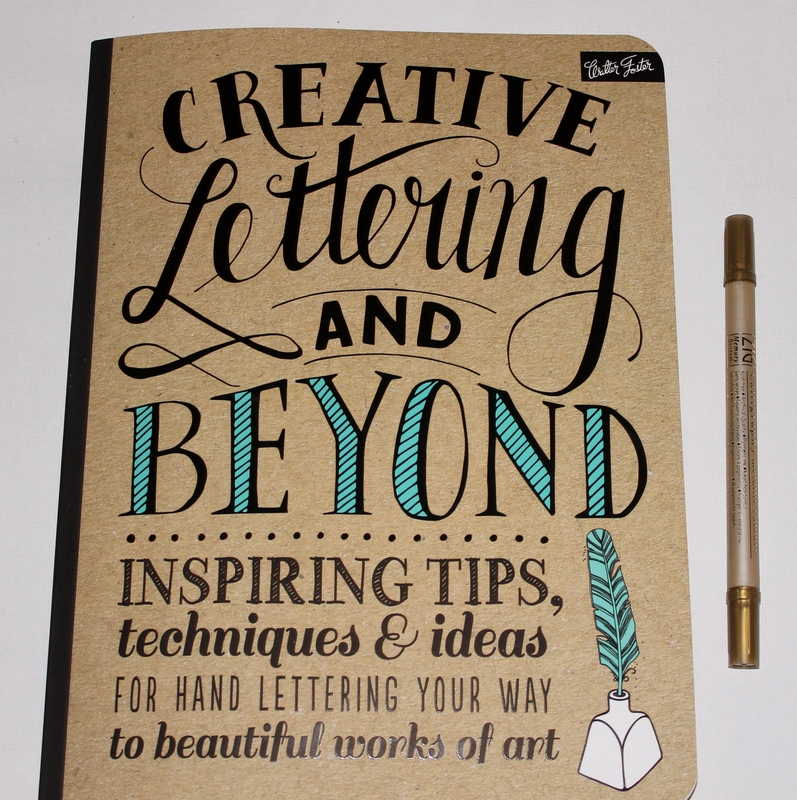 Creative Lettering and Beyond, $19.99 from Riot Art & Craft stores (not available online) – If you have ever seen the typography pins on Pinterest and wanted to create your own, this book is for you! It does have some calligraphy tutorials, so you would need to pick up a flexible tipped calligraphy pen (or you can buy a Calligraphy marker, like I did), but it also has heaps of other lettering projects including blackboard writing, writing on porcelain and even embroidery! You will need extra supplies, but most items are inexpensive. Some writing styles look challenging, but practice makes perfect and there are plenty of ‘how to’ videos on YouTube if you get stuck. Normally my colouring pencil brand choice would be Derwent, but unfortunately my Riot Art & Craft store were sold out when I went to buy some, so I thought I would try Prismacolor. They are okay, but I still prefer Derwents. 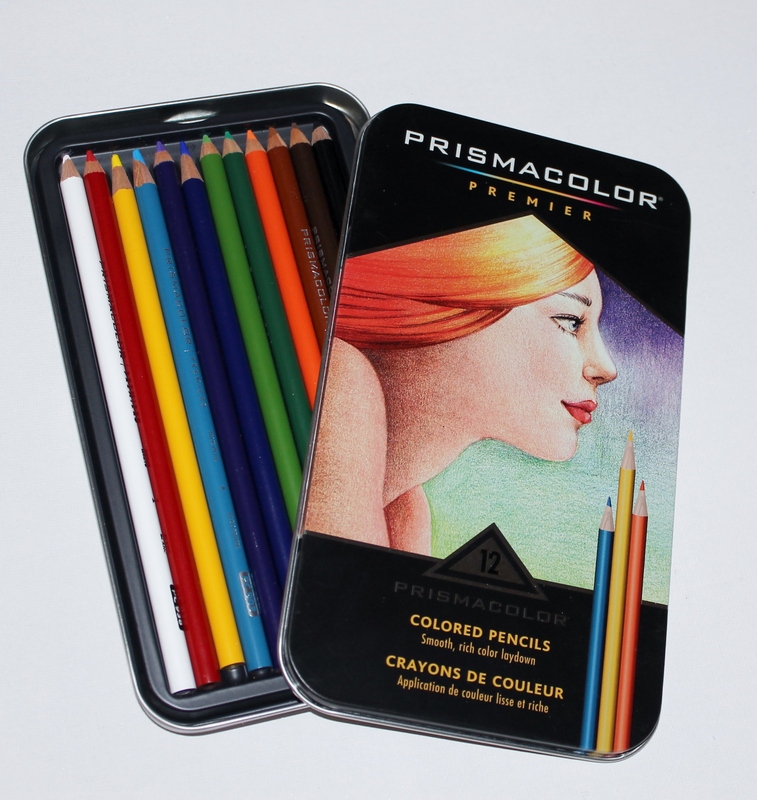 One thing that did really disappoint me about Prismacolor is that there was no pink pencil in the 12 pack! The next tin up (which I think was 48 pencils) was twice the price! I didn’t want to pay that, just for the sake of getting a pink pencil. They could have done without the white, really. Have you joined in on the adult colouring trend? what are your favourite adult colouring books? 1. Photography- I’ve taken photos since I was a kid with disposable cameras or cheap film cameras (makes me feel so old! ), but it wasn’t until high school that I developed (pun totally not intended) a passion for photography. 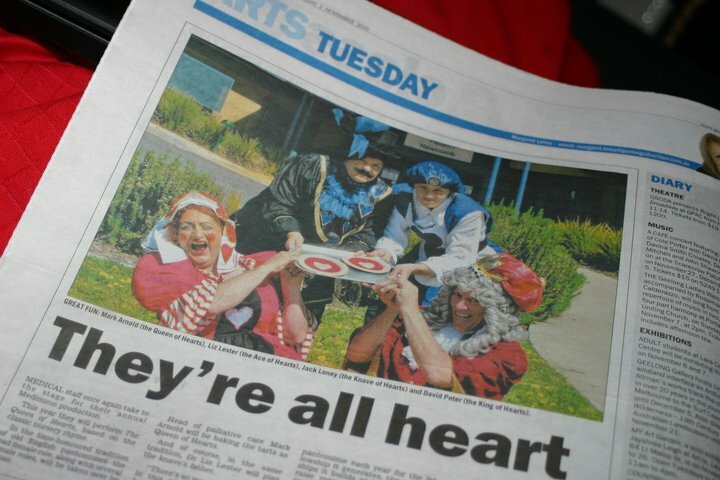 I have been lucky to photograph some amazing events such as the TV Week logie awards in 2008 and the Stampede country music festival…I even had a few photos published in local newspapers! 2. Writing- Again from a young age writing was something I loved to do, in English class I would get so excited when we were asked to write short stories as homework. I started studying Journalism at Uni a few years ago, but dropped out because my focus has changed. I am now working on comedy writing. I applied for NBC Universal’s Late Night Writers workshop early this year and I was unsuccessful this time, but I am not giving up! 3. Reading YA Literature- I am not ashamed to admit that I enjoy reading novels that are not exactly written for my demographic. Some of my favourites are The Hunger games series, Lauren Conrad’s L.A candy novels and The Intern by Gabrielle Tozer. 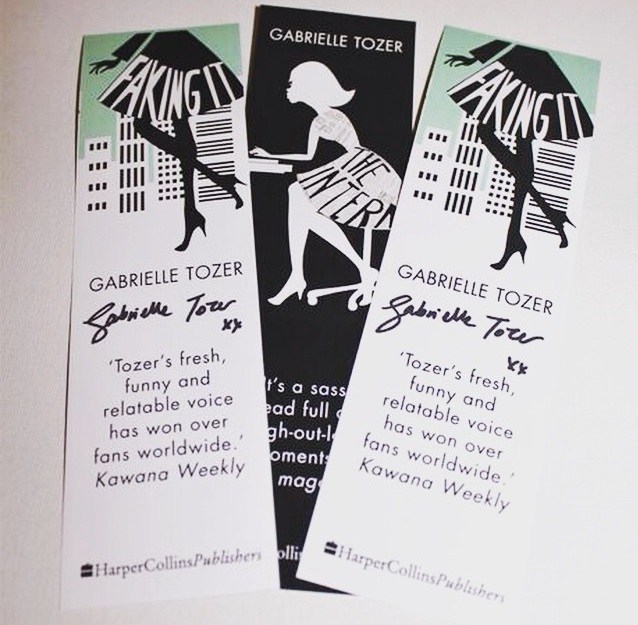 Signed bookmarks that I won on instagram from Gabrielle Tozer…She is one of the sweetest people ever! 8. The Tonight Show Starring Jimmy Fallon- I became an instant fan of the show when I first came across an ‘Ew!’ clip on Youtube in May last year. 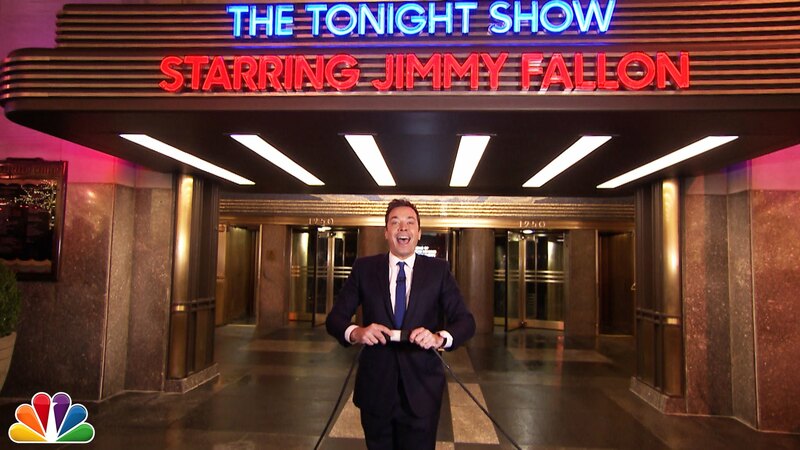 Jimmy Fallon has been hosting the Tonight show for more than a year and the show just keeps getting better. There has been some amazing moments this year! I can’t wait to hopefully see a show in person one day. 9. The Ellen Show- Ellen and Jimmy are my two favourite hosts! I was lucky to see Ellen in person when she filmed segments for her show in Melbourne a couple of years ago. I hope to see her show in LA one day too. 16. Breakfast at Tiffany’s- Hands down my most favourite movie ever! Such a classic film. I love Audrey Hepburn. Every time I hear ‘Moon River’ it reminds me of this movie. It’s also one of the reasons I own a camel coloured trench coat! 20. Wedding Date- Another wedding themed movie that has one of my favourte actors in it, Dermot Mulroney! 23. Fever Pitch (released as A Perfect Catch here in Australia)- Originally I watched it just because Jimmy Fallon is in it, but I ended up loving the movie…even though Baseball isn’t really popular here. 25. New York- It may sound weird that I love somewhere I haven’t even been yet, but I just know that it is my kind of city! I love Melbourne CBD and heard many people (who have been to both NYC and Melb) compare it to NYC…I do also hear people say ‘you obviously have never been to New York, if you compare it to Melbourne’ but it depends on your own experiences.